What did I do this week? More like what didn't I do! Lost and found 2 naughty dogs who crossed the Provo River and Center Street AND crossed them both again in reverse to eventually come home? Yes. Registered (incorrectly) all the cub scouts in our ward for day camp? You betcha. Took a 30 minute nap at least 3 out of the last 7 days? Totes. Blogged my brains out at Babble? Always. 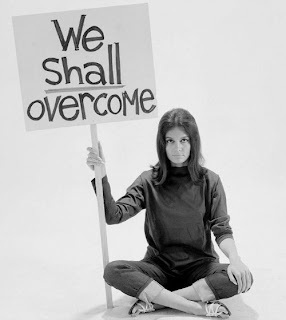 Happy Birthday Gloria Steinem: What's the State of Feminism Today? And this is super exciting: ABC news called me and said Good Morning America was going to do a piece on this post: Facebook is Making Me Feel Fat. And then they never called back. It's OK. I was relieved. So click away! If you would like some context—some actual numbers—The other bloggers get 400,000 page views and I get, like 30,000. So, by all means, click! But just so you know, it's kind of hopeless. . . but do not tell Gloria Steinem I said that. Oh my heck! ABC? I would be relieved to not be called back, except I'd be wondering if my real calling was to be a TV personality, and maybe that was my ticket. All hilarious posts. How do you do it? I tried to leave a comment on your "Facebook is making me feel fat" post but it told me to slow down I was commenting too fast. I'm a little confused. All I wanted to say was, "Yes! Let's bring vinyl flooring back!" I loved that post by the way. Hi! http://www.zuup.com/what-is-zuup here. Your blog is really fantastic. I will keep on visiting your blog and I can't wait for your latest post. Keep having a good post. Cheers! !